Get Your Students Speaking Naturally! 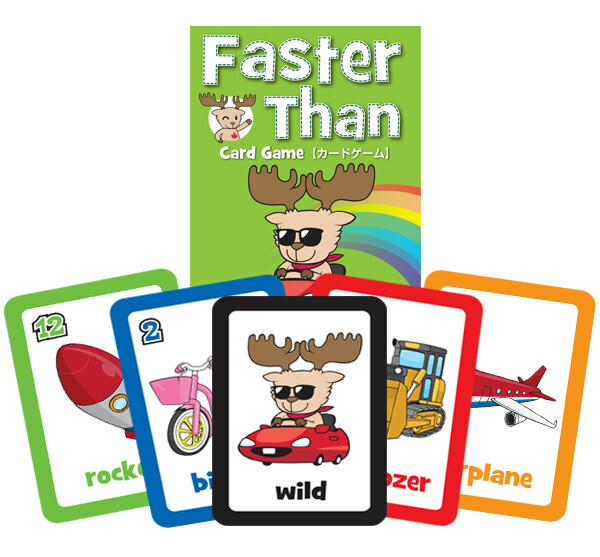 Faster Than Card Game teaches vehicles and more through fun and natural interaction with 52 numbered and colored playing cards. 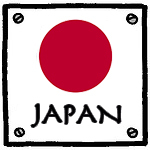 Play a simple traditional Japanese game using comparatives (rules included in box) or play a variety of other games using the target language of your choice. Your students will never get tired of playing! The basic strategy of “Faster Than” is very simple; players attempt to get rid of smaller cards first so that only stronger cards are left in the players’ hands near the end of a game. If a player is stuck with small card, it will be very hard to get to play it and empty their hand. However, as winning a round lets the player lead any card to start the next round, one weak card can be kept to be played last. For very young children, they can simply say the name of the animal when playing their card(s). For children that are able, They should say “A ____is faster.” or “A ___is faster than a _____.” If multiple cards are played, they can say; ” ___s are faster than ____s”. Teachers should feel free to make the game as easy or as difficult as they like depending on the abilities of the kids.